Stocks tiptoed higher Monday as investors await testimony from the new Federal Reserve chair. After languishing for most of the day, the Dow Jones industrial average, the S&P 500 and the Nasdaq all inched higher in the final hour of trading. Investors were reluctant to make any big moves before Tuesday's Congressional testimony by Fed Chair Janet Yellen. This will be Yellen's first time testifying since taking control of the central bank this month. Investors will be watching to see if she sheds any light on plans to further taper, or slow down, the Fed's stimulus program. Some investors believe that the Fed might have second thoughts about tapering, especially after the disappointing jobs report on Friday. There have been other signs of economic weakness as well. 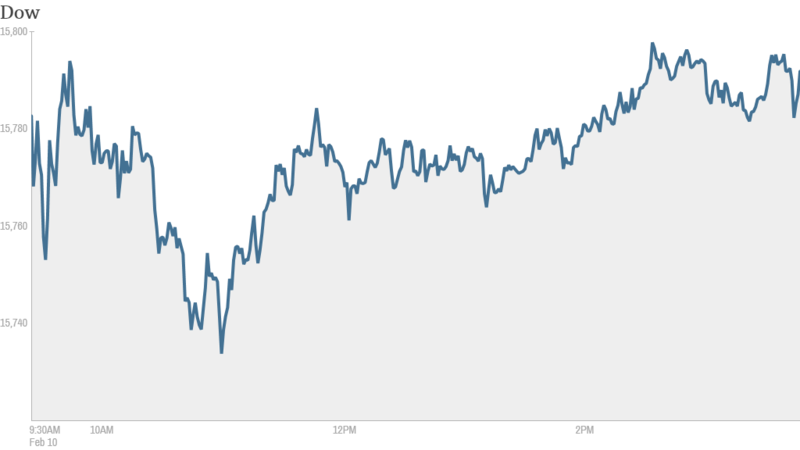 The Dow surged 160 points Friday as investors shrugged off the tepid jobs report and put their faith in the Fed. "The economy is moving somewhat slower than expected and possibly even slow enough to get the Fed to slow its tapering," said John Stoltzfus, chief investment strategist at Oppenheimer. What's moving: Shares of Apple (AAPL) rose after hedge fund manager Carl Icahn dropped a potential proxy fight with the iPhone maker regarding its share repurchase program. The stock was one of the top gainers in CNNMoney's Tech 30 index. Icahn has been pushing Apple to use its cash to buy back more of its own stock. But Icahn said in a letter to Apple shareholders Monday that he now sees no reason to pursue a fight with Apple in light of the company's recent "opportunistic" and "aggressive" share purchases. The market's reaction to Icahn's letter was a surprise to one StockTwits trader. "Huh. looks like mkt LIKES Icahn's backtracking. Interesting," said kleo. Apple's strength came amid weakness in Google shares, which have been on a tear recently. Google (GOOG) was flat Monday, but the stock has gained more than 30% in the past six months. Related: Tech stocks are the new safe havens? "$AAPL Wall Street finally realizing that apple is extremely cheap relative to google," said proinvestor1. Tesla (TSLA) shares rose to an all-time high after the Chinese government announced plans to extend subsides for electric cars. Investors are also gearing up for Tesla's next earnings report later this month. Some traders believe the stock will continue moving higher in the near term. "$TSLA good chance 200 will be broken tomorrow. 250 after earnings?" said Jason100. But others are betting on a big pullback after the report comes out. The news of the extended subsides, which are part of China's effort to curb pollution, also lifted shares of Chinese electric car maker Kandi Technologies (KNDI). The stock, which trades on the Nasdaq, was up more than 8%. "$KNDI News is news though and this means more long term revenue now and way into the future," said Nosh. Toy maker Hasbro (HAS) missed on earnings expectations but the company increased its dividend. Shares rose in early trading. The reaction to Hasbro's results was a big contrast to how investors treated rival Mattel (MAT) after it reported weak holiday sales last month. Mattel plunged on that news. 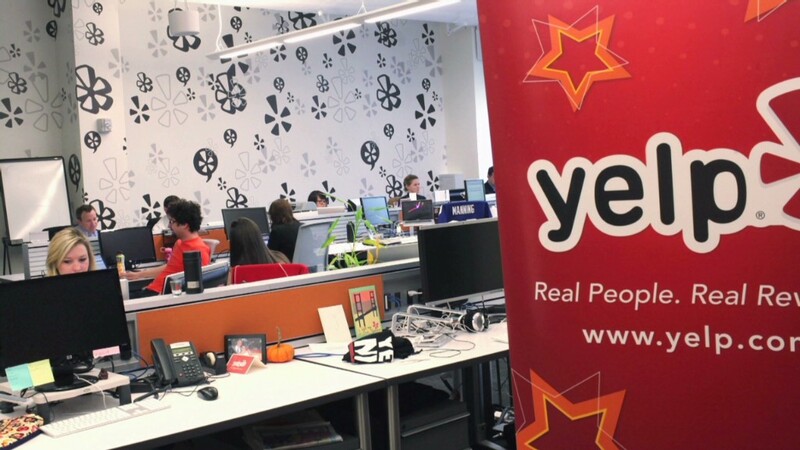 Yelp (YELP) shares rose on reports the online review site will partner with Yahoo (YHOO) to incorporate reviews in Yahoo's search engine's results. European markets closed narrowly mixed. Most Asian markets ended with sizable gains.